When you think MSI, gaming notebooks are often the first thing that spring to mind. And while some may tell the Taiwanese company to stick with what it does best, MSI has decided to transfer its expertise to different form factors. The latest are ultrabooks, with their first device in the category being the PS42. 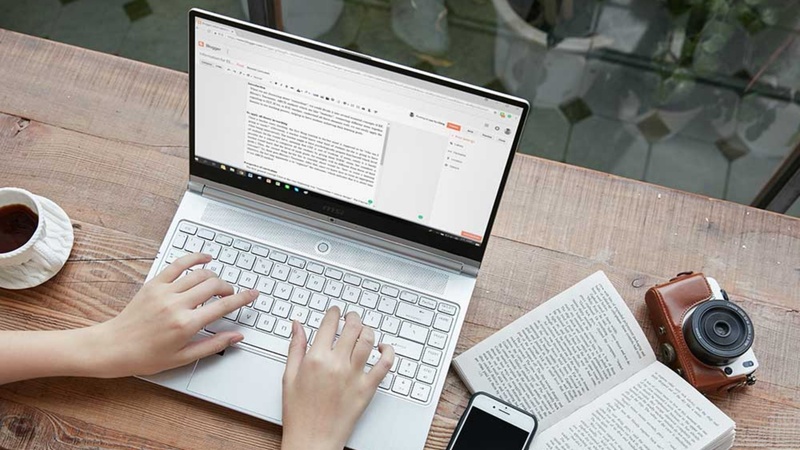 This ultrabook is now available locally, and with MSI entering this new space, how does it compare to other offerings? Running through the PS42’s configuration, quite favourably. First, like any ultrabook worth its salt, the PS42 is slim and light. It tips the scale at 1.19 kg and is 15.9 mm thin. Along with its aluminium chassis, the PS42 has a premium finish and does not look out-of-place next to the ultrabooks from competitors like Acer and Lenovo. 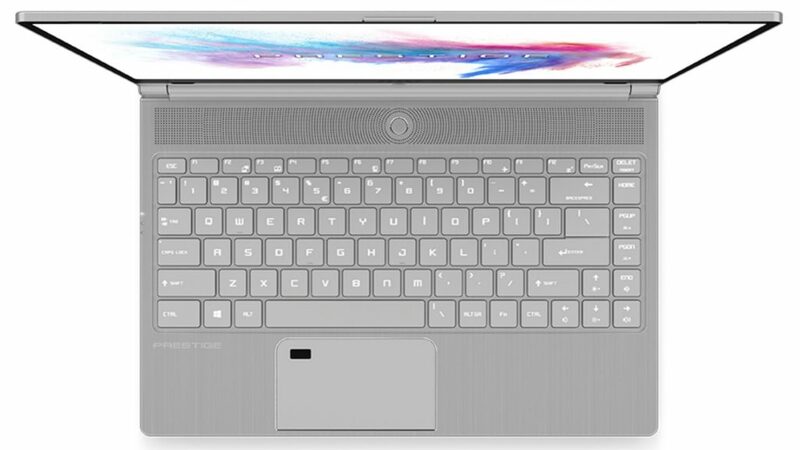 Other design choices include a wedge-shaped profile, iconic MSI dragon logo on the ultrabook’s lid, fingerprint sensor on the trackpad to take care of biometrics and 5.7 mm thin bezel around the 14″ display. Speaking of the screen, it’s a Full HD IPS-level display that takes up 80 percent of the space on the top portion of the PS42’s chassis and features anti-glare technology. Added to this is MSI’s own True Color Technology, which adjusts the visual settings of the display according to what its owner may be using it for. Now for one of the most important aspects to any ultrabook – the internal components. The PS42 is not lacking in this department either, with a choice of Intel i5-8250U up to i7-8550U processor available depending on the spec of ultrabook you’re wanting. This is paired with a few different GPU options, including Intel Integrated, GeForce MX150 and GTX 1050 graphics cards and 2GB GDDR5 RAM to keep things ticking over at a highly satisfactory rate. Being a MSI device the PS42 is also housing some noteworthy cooling to ensure things don’t get hot under collar when you’re multitasking. 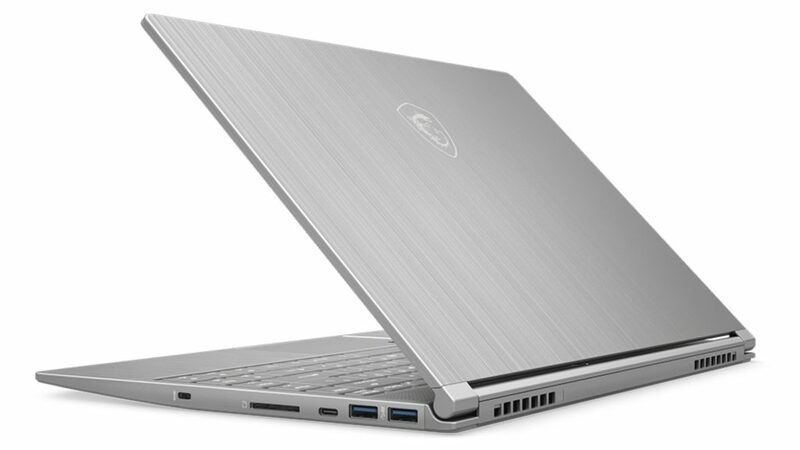 The specific system running in this ultrabook is christened Cooler Boost 2, and comprises of two fans and three pipes to keep excess heat to a minimum. Along with cooling, another aspect where the PS42 has other ultrabooks beat is the number of ports on offer. More specifically it has two USB-C, two USB 3.1, one HDMI, an SD card reader and audio cable input. Catering to all of a user’s port needs, the dongle life is something you need not worry about. Lastly, how long can the PS42 keep going? Thanks to a four cell Li-Polymer battery, it can yield up to 10 hours of battery life to last from nine to five and then some. MSI may not be the first name that one associates with ultrabooks, but given the specification and design of the PS42, it’s clear the company knows what it’s doing. Add to that a savvy price tag starting from R14 999 and MSI’s first ultrabook looks to be a home run. You can find out more about the MSI PS42 here.